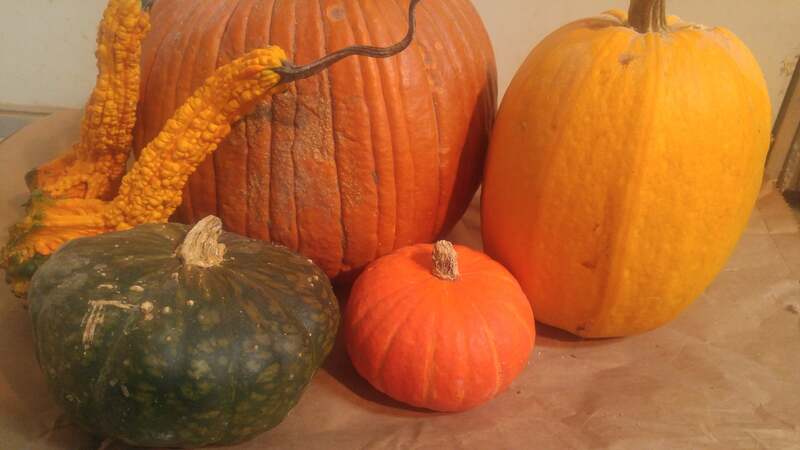 Under good storage conditions, winter squash and pumpkins can stay edible well into winter. I have a spot in my garage that stays cool, around 50 degrees, through the winter and that is right around the ideal storage temperature for squash. Air circulation is also important and there is plenty of air movement in that spot too. So we have been eating squash on and off for the past couple of months. One thing I have noticed is that flavor can vary from squash to squash of the same variety. Sometimes there can be quite a large difference in quality. You can buy seeds of the same variety from two different seed sellers and even though the squash looks the same, the flavors may be close but not the same. I think that explains some of the difference in opinion people have when discussing which variety they prefer. I’ve noticed this inconsistency in other vegetables too, especially with certain heirloom tomato varieties. What I like to do is save squash seed from the best tasting squash and discard seeds from those that are bland or off-flavor. That way year after year I gradually improve my squash. Since the seeds are well preserved inside the fruit until it’s ready to cook, seed saving for me is an ongoing thing until the squash run out. 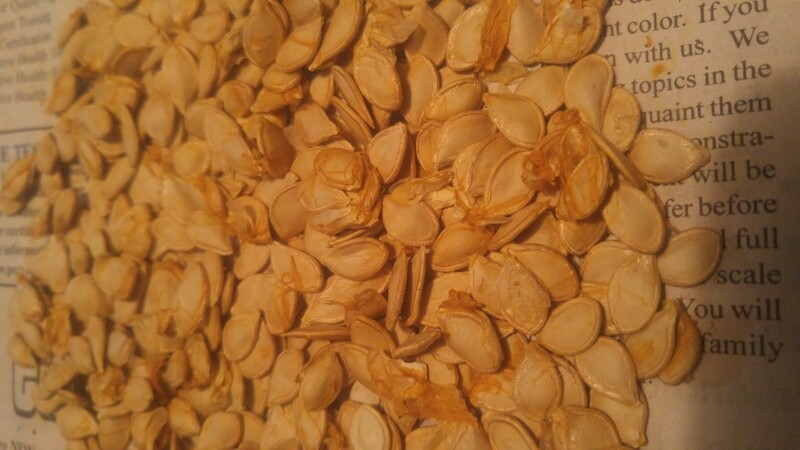 You can end up with a lot of squash or pumpkin seeds in a hurry since each one can have dozens or even hundreds of seeds as anyone who carved a pumpkin knows. The way I go about it is that I never toss out the seeds until dinner is over and I’ve had a chance to sample my squash. I mentally rate it and if it is better than the last one I had, I keep the seeds and get rid of the ones from the previous meal. By the time I eat my last serving of squash, I’ll have the seeds from the best tasting one from the garden. The rest of the seeds go to the chickens. I know it seems like a lot of fussing around but hey, it’s what I do. Gourds are filled with seeds and have very little flesh. These are seeds from a single gourd. This is a relatively simplistic way to select for a single genetic trait. Professional plant breeders select for other things such as disease resistance, high yields, ease of storage and other traits. In the home garden, flavor is a good one to select for.